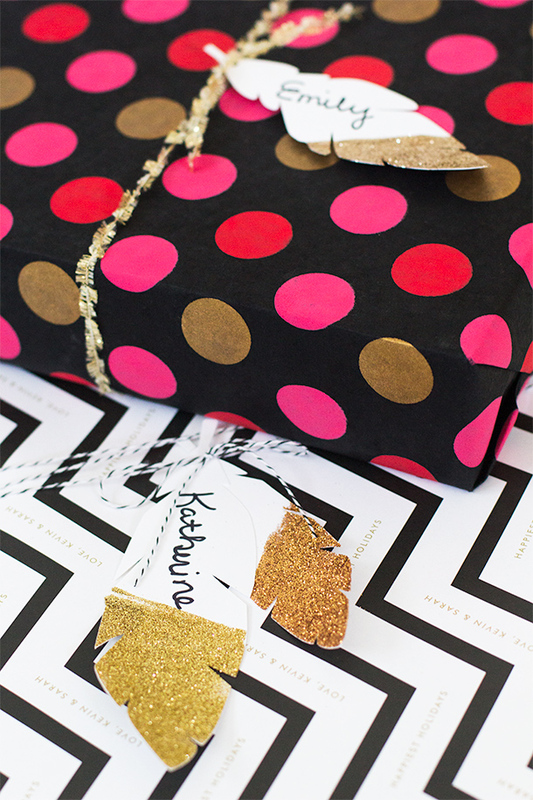 Make these glitter feather gift tags for the perfect finishing touch to all your gifts! 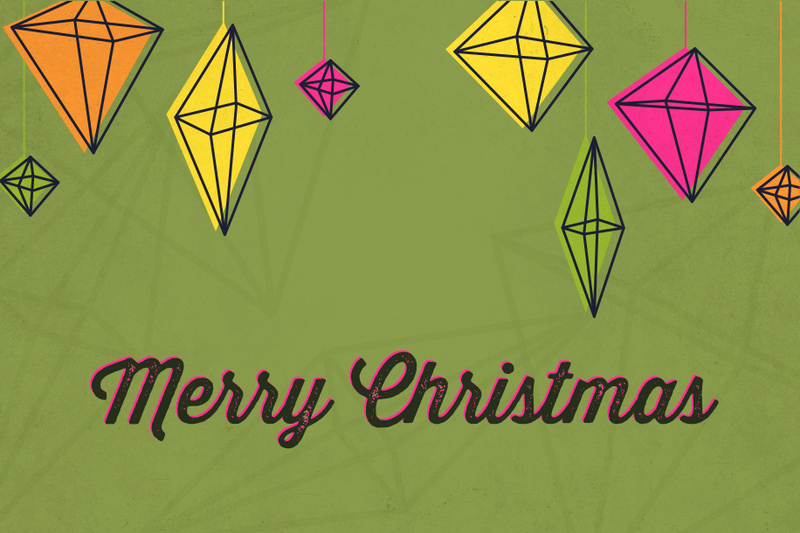 You don’ have to spend a ton to give a nice gift. 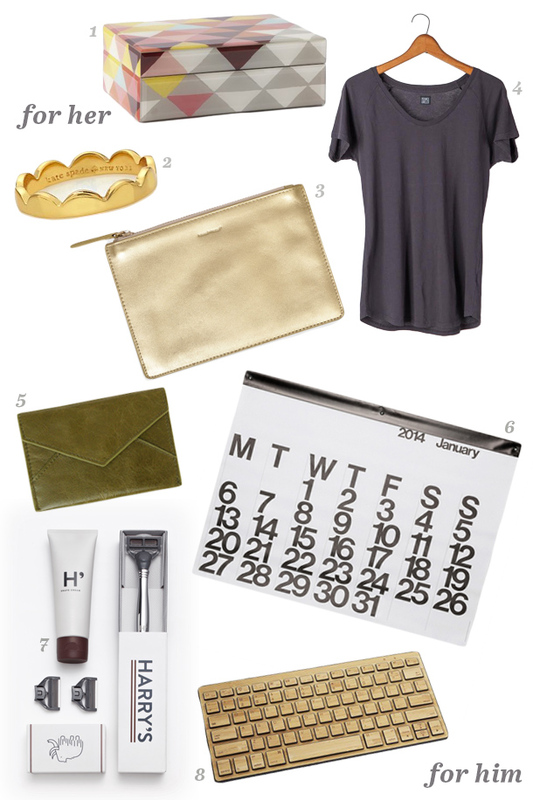 Here are a few of my favorite gift ideas for him and her that are all less than $50. 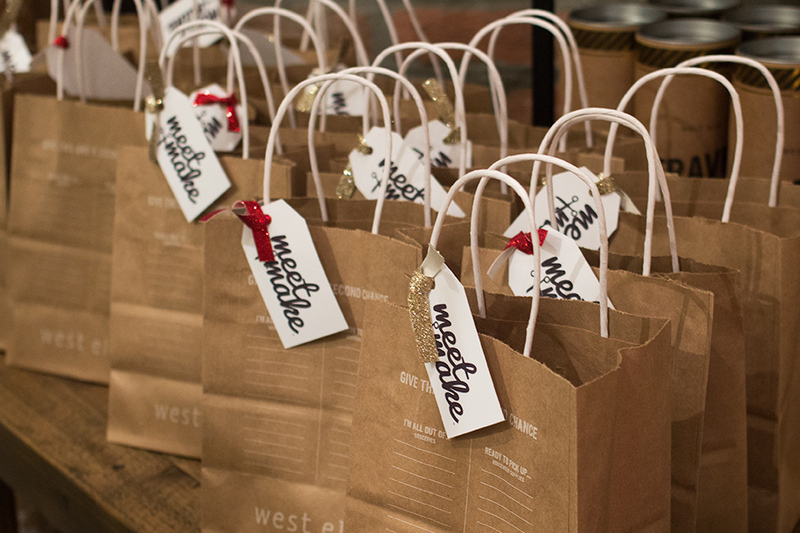 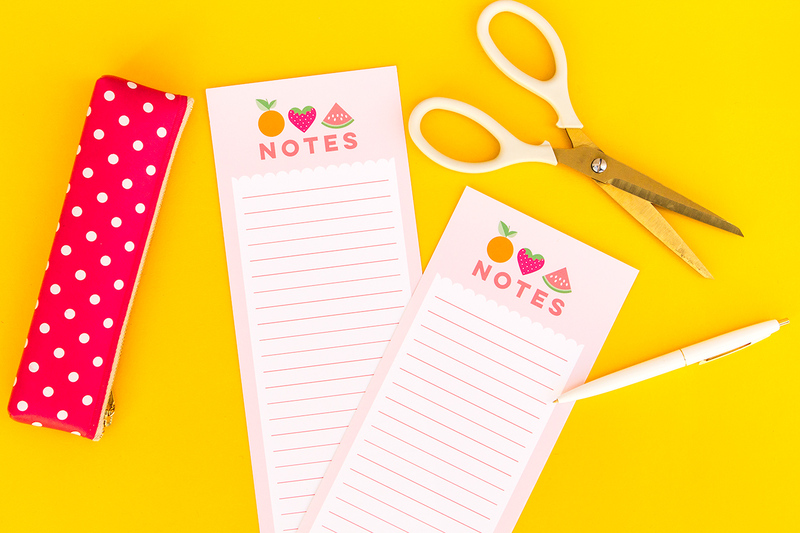 Check out all the goodies that were in the Meet + Make swag bags! 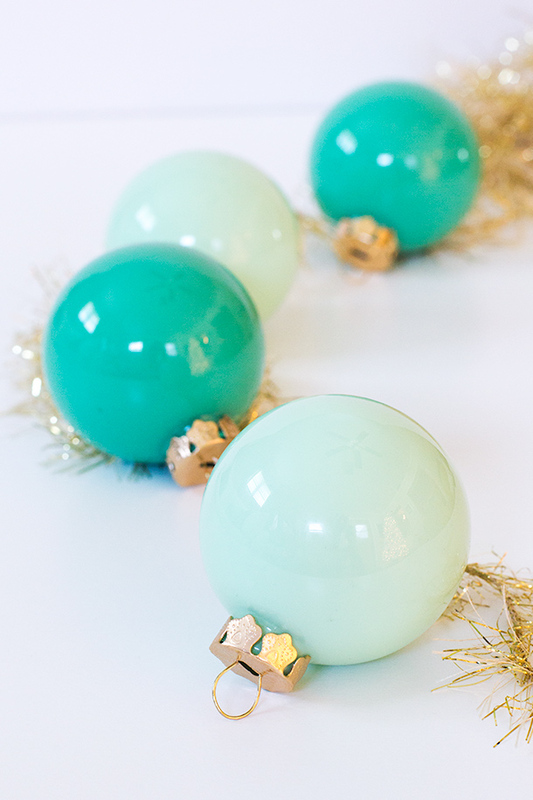 Learn how to use craft paint to create these super simple DIY paint filled ornaments. 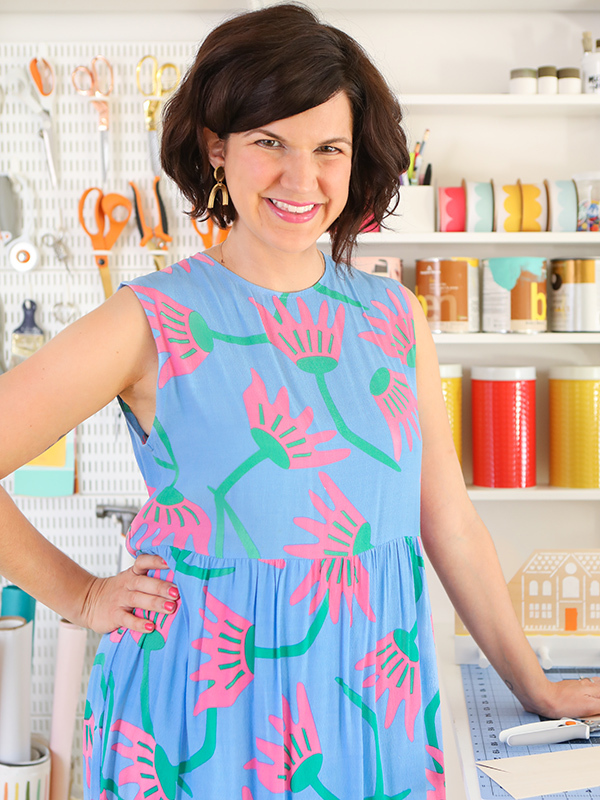 Here’s a recap of Meet + Make, the holiday workshop I hosted with Brittni Mehlhoff of Paper & Stitch, in December 2013 at West Elm Jacksonville.